Over the course of many years in practice, experienced dentists Dr. Ramin Tabib and Dr. Elisa Mello have honed their skills in the specialty of cosmetic dentistry, but as highly trained dentists, they also provide general dentistry services for our patients. General care forms the basis of good oral health from which a gorgeous smile can be built. Our New York City general dentistry services are designed to keep your oral health in optimal condition. To schedule an appointment, please call our office at 212-452-3344. Routine cleanings and exams – scan for cavities, treat any signs of gum disease, keep teeth and gums healthy and clean. We will also provide restorations should we discover a cavity, chipped tooth, or tooth that otherwise needs attention. During these exams, we also discuss the proper diet for healthy teeth and how to have excellent home care. Periodontal (gum) therapy – the number one reason that people have serious dental problems is undiagnosed gum disease. This is why we offer the best in diagnosis, treatment, and even laser care to remedy gum disease, gingivitis, and periodontitis. Porcelain dental fillings are an important part of our mercury free approach to restorative dentistry. Porcelain fillings not only have an attractive, tooth-colored appearance, but they do not contain any mercury, as is the case with conventional metal fillings. Metal fillings are made of an amalgam of metal and they contain low levels of mercury, a substance which is known to be toxic when ingested or inhaled. Many of our patients do not want any mercury materials in their mouths. Porcelain fillings are made of a composite resin that does not contain any mercury. They also have a natural, lifelike appearance that does not stand out when you smile, laugh or speak. Dr. Tabib and Dr. Mello practice biomimetic dentistry, which means the restorations they provide are designed to mimic the properties and function of your natural teeth. Porcelain fillings are an integral part of biomimetic dentistry. Porcelain fillings allow our dentists to preserve as much of the natural, healthy tooth structure as possible. While metal fillings often require a big chunk of tooth to be removed, the techniques used to layer porcelain fillings allow our dentists to remove only the decayed matter and nothing else. Porcelain fillings are also significantly less likely to leak. Metal fillings have a tendency to let bacteria leak beneath them, which can lead to the cavity becoming re-infected and to the need for a root canal. Porcelain fillings reduce root canals because they keep bacteria effectively sealed out for many, many years to come. Biomimetic dentistry is truly dentistry for the 21st century. Biomimetic dentistry uses advanced techniques and materials to eliminate tooth decay without removing a large chunk of the tooth structure. Your tooth is restored to its natural appearance and function, without having to use invasive procedures. As a member of the Academy of Biomimetic Dentistry, Dr. Ramin Tabib has extensive knowledge and experience in biomimetic dentistry. Our patients find these biomimetic techniques to be more comfortable, and in the long-run they find themselves in need of serious dental work much less often. To learn more, please call NYC Smile Design at 212-452-3344. Biomimetic dentistry restores teeth in a manner that copies what is lifelike. Your natural teeth have evolved over time to have the properties that serve you the best, including flexibility and strength. With biomimetic techniques, our dentists strive to mimic these natural properties every time they treat or restore a tooth. Your tooth restoration should result in a return to the natural function, appearance and strength of the tooth. Both Dr. Mello and Dr. Tabib have taken coursework to master the techniques of biomimetic dentistry. Dr. Tabib has trained under one of the leading biomimetic dentists, Dr. David S. Alleman. He also has attended prestigious conferences on the subject and received his instructor certification in the fundamentals of biomimetic dentistry, in 2013. Fillings: Instead of drilling away a large chunk of tooth to make sure all of the decay is removed, our biomimetic dentists very precisely remove only the decayed material, conserving most of the natural tooth structure. Next, advanced filling material is applied in layers, forming a superiorly strong bond that will last for many years. In this way, biomimetic techniques prevent the cracking and leaking that often accompanies metal fillings. Root canals: Because traditional fillings leak, they sometimes lead to an infection beneath the filling, which ultimately results in the need for a root canal and subsequent crown restoration. Biomimetic fillings drastically reduce the need for root canals by sealing out infection without leaking or cracking. Dental crowns: Though dental crowns are a tried-and-true restoration for broken teeth, they do not lend to tooth preservation and dental conservation. The tooth must be cut down to a small peg shape in order to make way for the dental crown. Biomimetic dentists see no reason to take away normal, healthy tooth structure, so we use special layering techniques and advanced material to build up to the tooth, restoring it to its full shape and function. The material mimics natural enamel and will stand up to biting, chewing and other forces. Athletes work every day to get better and better at their sport. The right gear protects you from injury while optimizing your performance. Experienced dentists Dr. Elisa Mello and Dr. Ramin Tabib offer state-of-the-art custom mouth guards created by GuardLab™. Recovery is essential to your performance. If you experience TMJ-related problems such as grinding your teeth or clenching your jaw, or if your airway becomes partially closed while you sleep, then you may not be getting the rest you need. You can enjoy better quality sleep with the GuardLab nighttime mouth guard. Just like the sports mouth guard, the nighttime device is customized to your mouth so it will fit snugly. This mouth guard maintains a bite that has neuromuscular balance. When your jaw and TMJs are in a harmonious position, it can create full-body balance by aligning all of the muscles in your body, starting with the muscles of the head and neck. GuardLab's research shows this improved muscular balance can lead to an enhanced athletic performance. To learn more, please visit guardlab.com. 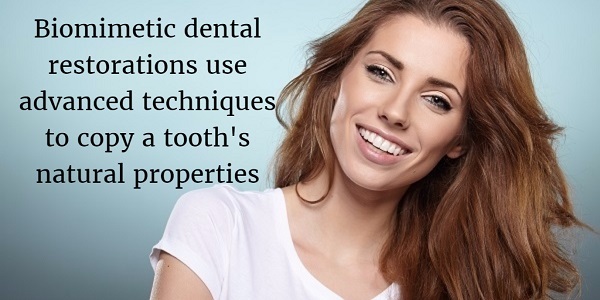 By preventing these problems, you can stop them from turning into more serious dental conditions, which can be more expensive and time-consuming to treat. Good oral health and a cosmetically appealing smile ought to go hand-in-hand. Cosmetic restorations recommended by our dentists are always suggested with your oral health in mind. Instead of using a short-term solution to a cosmetic flaw, Dr. Mello and Dr. Tabib suggest those treatments that they know will benefit you for the long-term. The foundation of an attractive smile should be healthy, strong teeth and gums. If you are searching for New York City general dentistry services performed by caring, experienced, skilled professionals, please call NYC Smile Design at 212-452-3344 to learn more about us and to schedule an appointment.